'It undermined the rule of law' Supreme Court president condemns attacks on Brexit judges. Lord Neuberger also bashed politicians for not speaking out to defend judges soon enough or clearly enough after the landmark Brexit ruling in the High Court. Speaking to BBC’s Radio 4’s Today programme, the judge, who is set to retire in September, slammed attacks in the media for “undermining the rule of law”. High Court judges had come under intense scrutiny after ruling Article 50 had to be triggered by Parliament collectively – the decision was later upheld by the Supreme Court following a Government appeal. Lord Neuberger said: “We [judges] were certainly not well treated. One has to be careful about being critical of the press particularly as a lawyer or judge because our view of life is very different from that of the media. Lords 'don't have the stomach to delay Article 50 Bill', claims peer. He admitted politicians had been “vocal enough, quickly enough” following the Supreme Court hearing but said the reaction to the initial High Court ruling was inadequate. "After the [High] Court hearing. I think they could have been quicker and clearer. But we all learn by experience, whether politicians or judges,” he said. “It's easy to be critical after the event. They were faced with an unexpected situation from which like all sensible people they learned." Britain's most senior judges ruled that Prime Minister Theresa May does not have the power to trigger the formal process Article 50 for the UK's exit from the European Union without Parliament having a say. 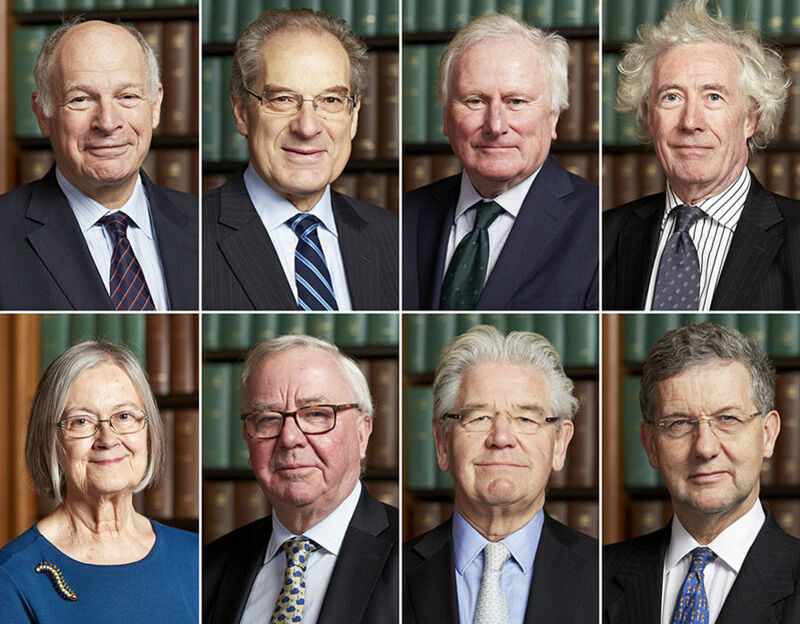 Issued by the Supreme Court of (top row, from the left) Lord Neuberger, Lord Mance, Lord Kerr, Lord Sumption, (bottom row, from the left) Lady Hale, Lord Clarke, Lord Wilson and Lord Hodge, who agreed with the majority decision that the Government could not trigger Article 50 without Parliamentary approval. 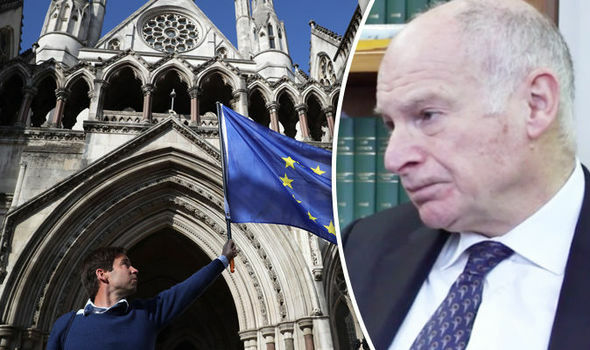 Lord Neuberger said undermining the judiciary led to the rule of law being undermined as judges were its "ultimate guardians". He said: ”The rule of law together with democracy is one of the two pillars on which our society is based. "The press and the media generally have a positive duty to keep an eye on things. But I think with that power comes the degree of responsibility." The out-going judge, who reportedly earns more than £214,000 a year, also called for greater diversity within the judiciary and highlighted employment drives to recruit people from a wider range of backgrounds. 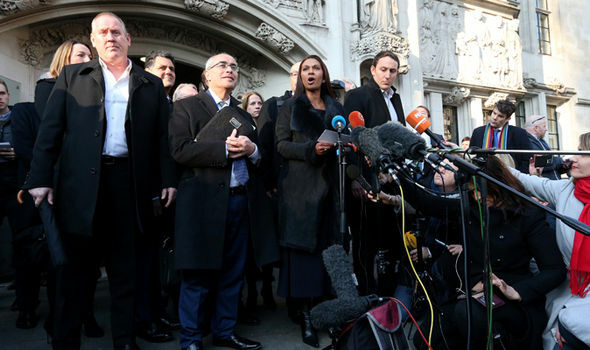 "The higher echelons of the judiciary in the United Kingdom suffer from a marked lack of diversity and here I must admit the Supreme Court does not score at all well," he said. "We have one white woman and 10 white men, and, although two of the 11 were not privately educated, none of us come from disadvantaged backgrounds." Equally it can be said that the rule of law undermines the government in the UK as well as in the United States. This kind of action removes democracy from the people who elected the government. Many of the Supreme Court Judges belong to masonic organizations and also have personal relationships with members of the ´global elite´, which does not support their claimed impartiality.